I found out some good news! That co-sleeping contest I entered? Well, turns out … I kinda sorta … WON! Can I get a "woot"? 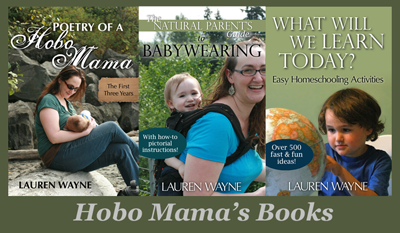 My essay on "Finding out what not cosleeping is like" will be featured in the chapter of Are You Co-Sleeping? Me Too! 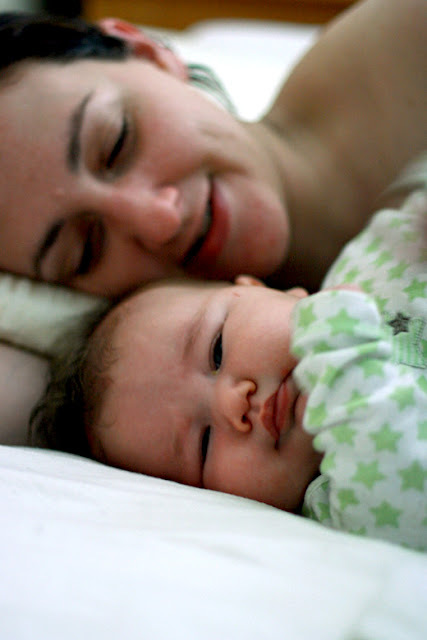 about getting better sleep through cosleeping. Hooray! I'm going to be published in a real, live book! And, I'm going to have my essay featured on the site www.CosleepingSurvey.com. So are a bunch of my friends! Because I can't find the winners list published online yet, I'm taking the liberty and pleasure of doing so here, since I know some of you fellow winnahs didn't get the email. I've tried to link to your posts if I could find them and tried to honor any pseudonyms, but please do let me know if you want your name or link removed, added, or altered. Thanks! Check back at www.CosleepingSurvey.com in the coming weeks to read all the winning entries as they're posted, and get a hold of the book when it's published later this month! And how could I let a post go by without reminding you that the deadline for the April Carnival of Natural Parenting is sneaking on up? Tomorrow, my friends, tomorrow — have your posts asking for parenting advice emailed to us by 11:59 p.m. PST on Tuesday night. We've gotten so many varied topics so far — I love it! And you're going to love reading them and giving out advice to your heart's content! Congratulations. I wish I got in it. Mine was about how co-sleeping makes me a better parent. I swear it does. Just the simple act of sleeping with my child makes me feel closer to him, makes me feel more love for him, and throughout the day, it even makes me more patient and in-tune with him. Lisa: Are you going to post yours? I'd love to read it. There were several essays I read where I was really surprised they didn't get in. I'm guessing yours would be one (just guessing, but it's a guess with good odds). Congratulations! A couple of the winners had submitted via my blog, so I'm really chuffed about that :) Sadly mine didn't get in, but Cave Father's did! Woohoo! I'm glad you linked to some of the other winners, I didn't recognize all of the names! Cave Mother: Honestly, your post was one of the ones where I was totally shocked it didn't win. Maybe it accidentally got left off the list like Dionna's originally did. Seriously, I really loved it and I would have chosen it. I'll update the Cave Father link — that was a great one, too! Thanks for linking to the other entries, too. Thanks for finding all the links to the other winners. I can't wait to read them all. And congrats! I love being in such fine company! Thanks for the link! Unfortunately for me I didn't even keep copies of my entries. I just wrote them on a whim and hit submit (I entered more than one). So I'm bummed I can't even share my winning piece or any of my other submissions. BUT... I got in! Woot! And so did you! Double Woot! Here's the official winners list that was finally posted! It includes Paige's winning essay. Sweet!